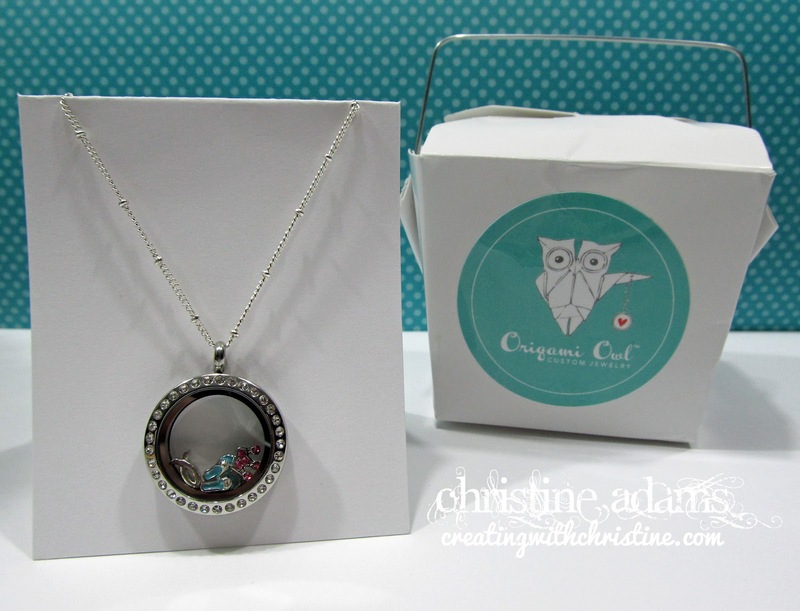 Have you heard of Origami Owl? Their story starts with a teenager and a dream. The company was founded by 14 year-old Isabella in the fall of 2010. Fueled by a goal to raise enough money to buy a car for her 16th birthday, she started the business with $350 worth of babysitting money and a matched contribution from her parents. She sold her unique line of personalized jewelry at home parties and events and quickly realized that this brand has an energy all its own. Needless to say, Isabella has set aside PLENTY for a car - and she's not even 16 yet!!! Don't you love success stories like that? Know what I love even more? Origami Owl GIFTS! For my birthday, sweet Lisa gave me a personalized living locket necklace!! 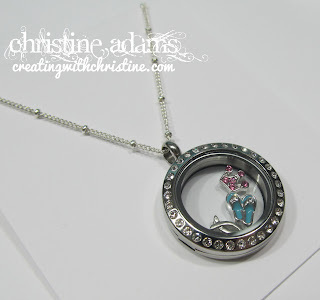 You can personalize the charms inside and easily add to or change them day-to-day! She chose 3 very special charms for me: an ichthus (fish) to represent my Christian faith, flip flops to encourage me as I work toward earning the CTMH Southern Caribbean Cruise, and a crown for Queen Christine! LOL! Isn't it beautiful? I absolutely love it! And guess what else I got???? The most beautiful card in the world, handcrafted by Lisa herself! Isn't it amazing? Thank you Lisa for such a thoughtful, beautiful, precious gift! YOU are still my favorite gift of all!